President Trump lead a roundtable discussion on school safety and the new Federal Commission on School Safety report, with family members of shooting victims, state and local officials, in the Roosevelt Room. WASHINGTON (AP) — Senate Majority Leader Mitch McConnell said the Senate will take up a short-term measure Wednesday to fund the federal government through Feb. 8, a move that eases the risk of a shutdown and comes only after President Donald Trump backed off his demand for border wall funds. McConnell opened the Senate saying it was a ‘‘simple’’ bill but will show that Republicans, who have majority control of Congress, will finish the year by governing rather that prolonging a potential crisis. Trump also argued that Mexico will pay ‘‘indirectly’’ for the wall because the terms of a new trade deal will boost U.S. revenue. But that outcome is not assured and is not the same as his campaign promise that Mexico would pay for the wall, which the country has refused to do. Just last week, Trump said he would be ‘‘proud’’ to shut the government down over the wall. Press secretary Sarah Huckabee Sanders indicated that Trump doesn’t want to shut down the government and said the administration was looking at ways to find the money elsewhere. The Senate’s top Republican and Democratic leaders began negotiating new proposals, and talks had been expected to continue. ‘‘If I were in her shoes, I would rather not be dealing with this year’s business next year,’’ McConnell said. Pelosi will probably be able to quickly approve a longer-term measure to keep government running in the new year. She called it a ‘‘good sign’’ that the White House appeared to be backing off its demands. 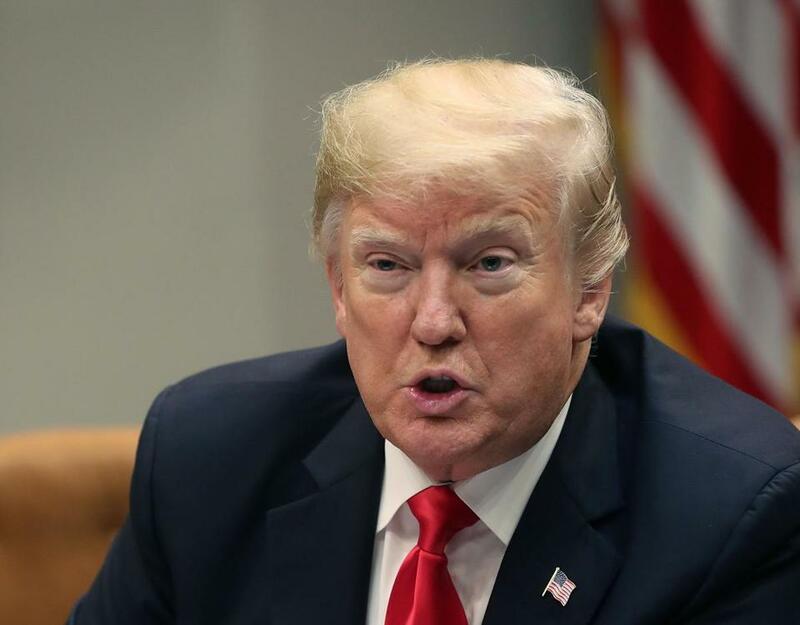 The White House showed its willingness to budge as it became apparent the president does not have support in Congress for funding the wall at the $5 billion level. Sanders said Tuesday there are ‘‘other ways’’ to secure the funding. ‘‘That’s something that we would be able to support,’’ she said, as long as it’s coupled with other funding. ‘‘Who would want to shut the government down?’’ he said.